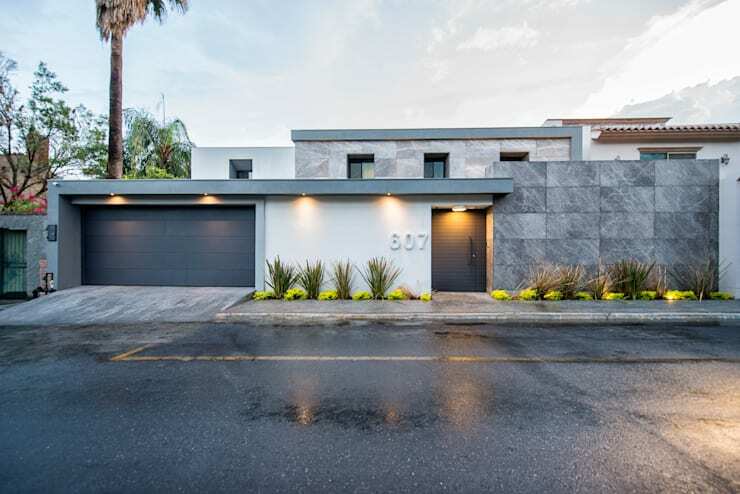 Estudio Tanguma are the experts in charge of our latest homify 360° project, this one transporting us all the way to Monterrey, capital of the north-eastern Mexican state of Nuevo León. Here is where the professionals show us how super modern their designs can get with a house that is clearly bent on impressing people. However, this structure is not a beauty-but-no-brains creation, for it also boasts a strong commitment to functionality and a practical lifestyle – and it does so with style! Quite the sleek and subtle look, don’t you think? 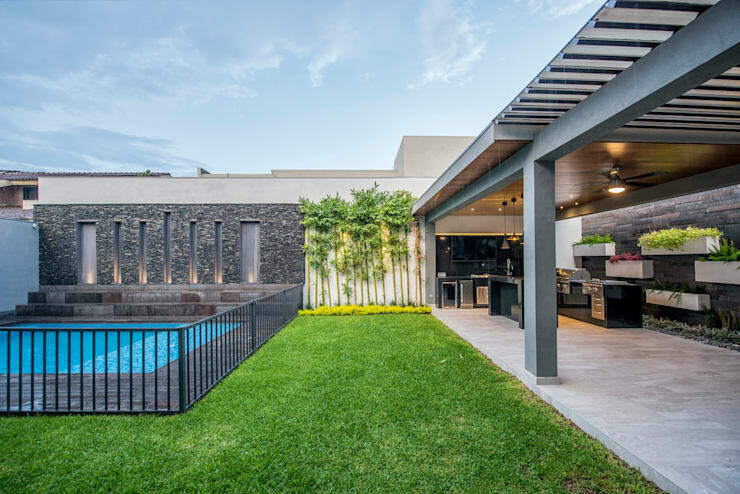 Although not privy to a spacious front lawn/yard, the designers did what they could to include some freshness in the form of plants and shrubs, which form a nice contrast with the harsh materials of the house, not to mention the structure’s neutral hues. So often when it comes to a kitchen, we are concerned with worktop surfaces, legroom for walking and high-tech appliances, completely forgetting about one of the most important elements: lighting. 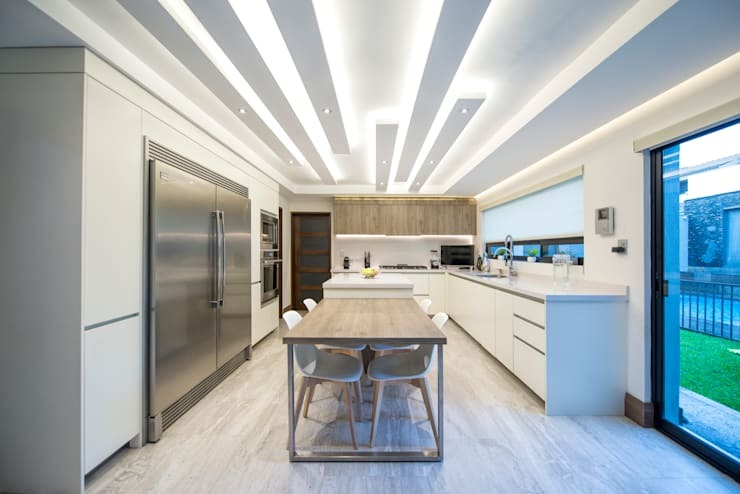 Fortunately, the designers in charge of this project went all out for this kitchen’s lighting – just look at that ceiling flaunting a striking lighting design! It would seem this house has no qualms about being labelled small or cramped, which is why it can afford to boast with this spacious back yard that includes a swimming pool, expertly trimmed lawn, garden touches and a covered cooking/dining spot that turns out to be a second (exterior) kitchen all on its own. 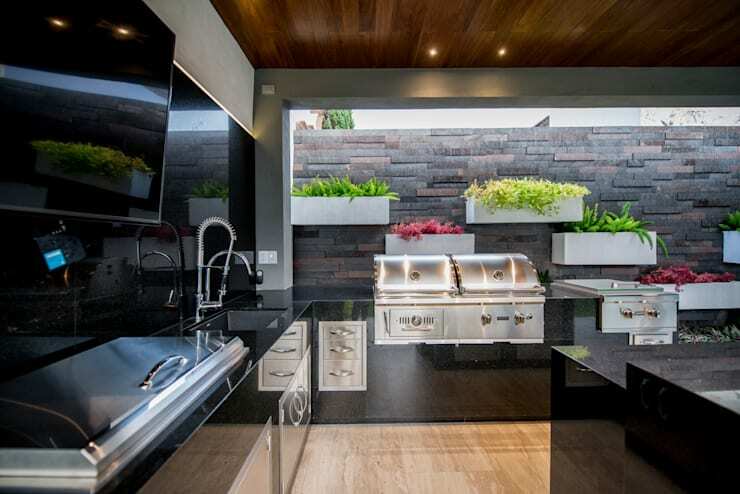 Who would want to spend any time indoors when this superb outdoor kitchen presents just about everything required for some up-class cooking and socialising? Marble does an expert job at adorning the cabinetry and worktop surfaces, while stainless steel appliances inject some contrasting glossiness into the predominantly dark colour palette. And that sublime focal wall with a textured stone surface goes a long way to make the snow-white, wall-mounted potters stand out so much more. 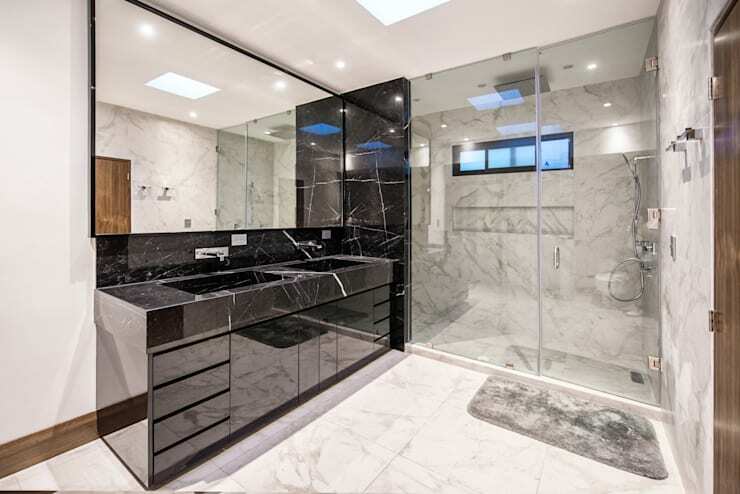 Seeing as marble did such a fantastic job outdoors, it was wisely decided to bring it back for the bathroom – just see how fabulously that elegant material styles up everything from the floors, to the walls, to the sinks and countertops in a sophisticated monochrome look. And when was the last time you had a glimpse of such a spacious shower? Speaking of showers, we have some Stylish shower privacy options for you to look at. We love hearing from you, so share with us your thoughts on this house’s look.